This villa has a private salt water pool design with a waterfall set among man made rock formations. It is surrounded by tropical gardens made up christmas palms, golden palms, macarthur palms, crotons, bougainvillea, red acalifers and more. The gardens are frequented by humming birds and the occasional green monkey. The dining room is open to the semi circular living room which in turns opens out on the semicircular entertainment patio via four french doors. This patio flows right on to the pool deck where there is a barbeque deck. The patio and pool deck are perfect for dining any time of day or night. The dining and living rooms are airconditioned. All our villas have the same design and the same amount of physical space on the interior but with minor differences in the furnishings. This villa has a queen sleeper in the living room which can be pulled out to sleep extra persons where necessary. Note that there are additional charges for sleeping more than 4 persons. Now you can also choose from our range of car rentals to go along with your villa rental. Use "Vida Mejor" coupon to get discounted rate on the car rental website. Beach Chairs and Umbrellas can be automatically included in your villa rental. From the dining room , the living room and the kitchen you can see the waterfall pool. You walk out of the living room on to the semicircular entertainment patio which has tropical plants on both sides and then on to the pool deck . The entertainment patio is perfect for alfresco dining. The setting on the entertainment patio is unique. You have lush gardens on both sides with humming bird feeders. So when you are not directly in the sun on the pool deck , you can come on to the patio in the shade to read or even sit at the outside table with a beer, rum punch or whatever your heart fancies.This villa has a new private pool built with a waterfall. All of our villas were designed by an architectural firm, who designed each one for total privacy i.e. individual separate entrances, separate parking, own pool and garden. All our pools are salt water pools, making them easier on the skin, hair and eyes. Carlton was great to deal with. We had a great family holiday in Waterfall Villa. It's in a great location, well designed and really quite spacious. The pool and gardens are lovely, very private with well considered planting, the pool is very well maintained and a pleasure to use. We really enjoyed seeing the resident Hummingbirds and the Green Monkeys which are often to be found in the neighbourhood. Holetown is a very friendly area with some great bars and restaurants. The beach is wonderful and a very short and easy walk from the property. Carlton was keen to ensure that we enjoyed our stay and we hope to return again soon. We also hired a car through Holetown Cars which was hassle free and very competitively priced. The villa was very spacious and very comfortable. Carlton was the perfect host and made us feel very comfortable. We would love to stay again. Spacious property, with lovely terrace and pool area. Our stay at the villa was very enjoyable. Carlton was always on hand to help and support when required. It was only a short walk to the beach and all amenities in Holetown. The properties are amazing, clean, tidy, and in the right location, spot on. We always try and book one of these villas, they have everything you need, Carlton the manager and Peggy the housekeeper go out of their way to make sure your stay is fantastic! Spacious homely place. Well looked after. Cordial and professional staff. Jamestown Park, in the heart of Historic Holetown, on the West coast of Barbados. 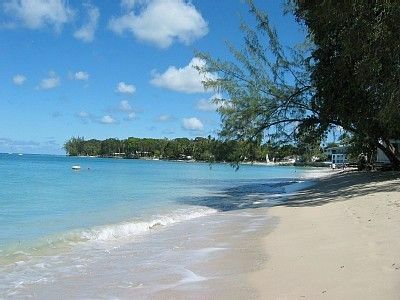 Holetown is the place where the first visitors to Barbados landed, that was the Portuguese in 1627, who named the place 'los Babadoes' meaning land of the bearded fig trees. Our property is in a tranquil area, surrounded by the following hotels and restaurants: Hotels: Discovery bay, Sandpiper, Settlers Beach, Mango Bay . Restaurants:- Olives, The Mews, Star Fish, Tides, Cocomos, Blue rare, Angry Annies. From our property, you can also walk to the shopping mall where you will find a large supermarket, Internet cafe, and a large department store with duty free shopping (cave Shepherd). Also within a 4-min walk is a 24hr gas station, which also has a shop, attached. Four banks, the post office, police station and public library completes Holetown city centre. On the beach you will find many water sports operators and beach bars, such as Surfside bar. Tropical tranquillity yet close to all the action. Golf: There are 5 golf courses on the island - two at Sandy Lane and one at Royal West Moreland (both on the West Coast) and Rockley on the South coast.Now book your golf at sandy Lane or royal Westmorland both in close vicinity to our property. GET 20% DISCOUNT as a non-refundable fare, with full balance payable now when you book 3 months or more in advance, ASK ABOUT OUR RENTAL CARS: Family cars now available, sedans , 7 seaters, all automatic and fully loaded vehicles, ready at the villa. www.holetowncars.com VILLA RESERVATIONS FOR 7 DAYS OR MORE DURING, MAY, JUNE, SEPTEMBER & OCTOBER 2018 GET COMPLIMENTARY CAR RENTAL FOR ONE DAY, FREE AIRPORT TRANSFERS (ARRIVAL & DEPARTURE) FOR 2 PERSONS. VILLA RESERVATIONS FOR 2 WEEKS OR MORE DURING THIS PERIOD ALSO GETS A FREE CATAMARAN CRUISE FOR 2 PERSONS!! !